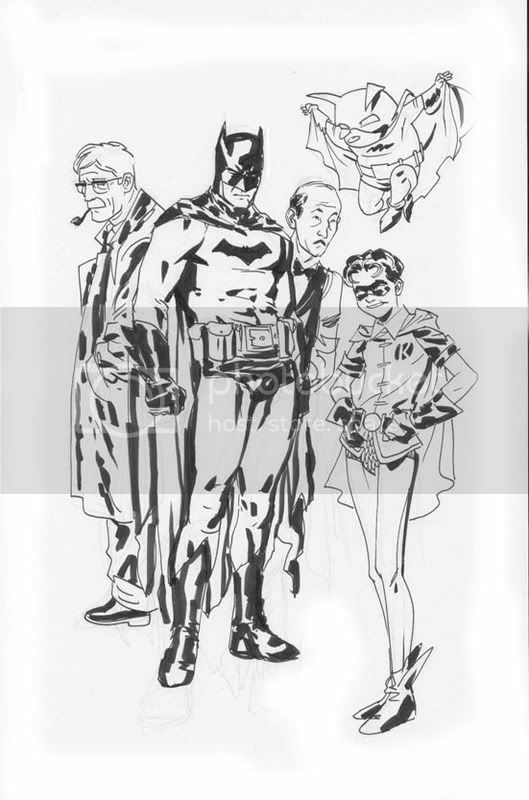 Chris Samnee: Bat Family- about to be Punished!? Hey folks here's a few more things I found in the piles a while back. 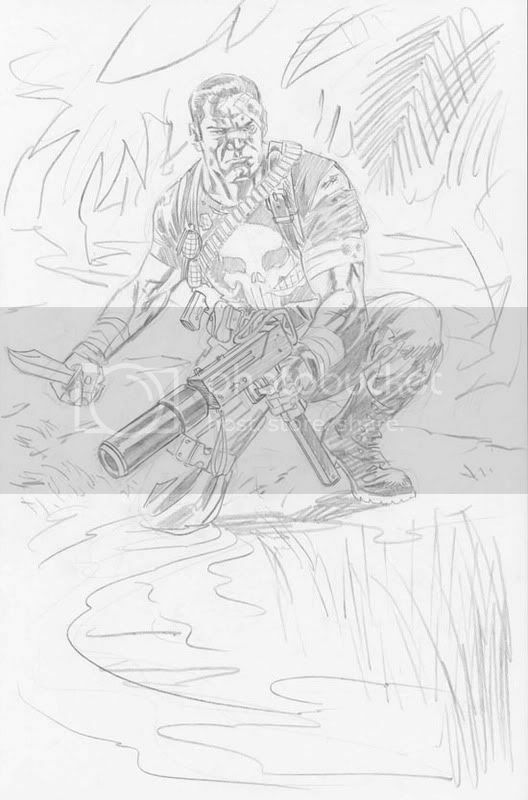 I had originally planned to ink the Punisher but it got lost in the shuffle I guess. Batman and crew is just another quick Pitt pen sketch to wind down after a long day at the drawing board. jeeeez...you did that to wind down??? dude, I make a few chicken scratches on a piece of typing paper to wind down...I don't draw 4 full figures in full lighting...gawd!